"The strength of [She Has Her Mother's Laugh]...is its combination of accuracy, journalistic clarity and scientific authority...If the science doesn’t matter to you now, it will soon." “Expansive, engrossing, and often enlightening... Zimmer takes readers on a tale through time and technology, from the inbred Holy Roman Empire to the birthplace of American eugenics to the Japanese lab where scientists are reprogramming skin cells into eggs and sperm." "This is clearly Zimmer’s best book. It’s an opus in which he goes through the entire history of genetics and epigenetics, and writes about getting his own genome sequenced too. 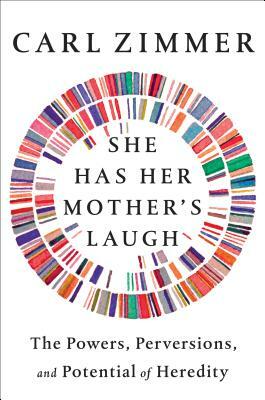 She Has Her Mother’s Laugh is one of the best books ever written about genetics, along with Siddhartha Mukherjee’s The Gene. They’re the two bookends."